In summer 2018, we had another excellent season of connecting young people with meaningful outdoor experiences. As an organization, we reached a major milestone and sent our 10,000th student into the field! But our success and longevity would not be possible without the important partners that help us provide opportunities for our students. This year, we are recognizing those partners that went above and beyond in 2018 with a National Partner Award. Our 2018 National Partner Award recipients were selected based upon how well they exemplify our core values – youth, nature, community, collaboration, and accountability. Congratulations to our winners! But more importantly, THANK YOU, partners, for making a real difference in the lives of under-resourced youth throughout the country. 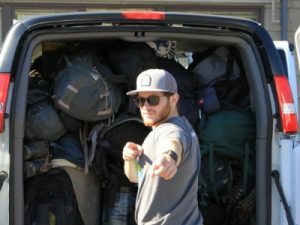 A skilled trip instructor, Nathan led three expeditions for the Pacific Northwest Program as a volunteer. The trip instructor position is usually a paid position, but Nathan waived his fee and led all of his trips gratis. Beyond being generous with his time, he is also a very skilled instructor showcasing excellent collaboration, transparency, and communication skills with adults and students alike. Adam has added to the BCM program for the last two years, bringing an infectious excitement for working with our youth. Whether teaching fishing, paddling, or backcountry skills, he strongly engaged students and volunteers alike. 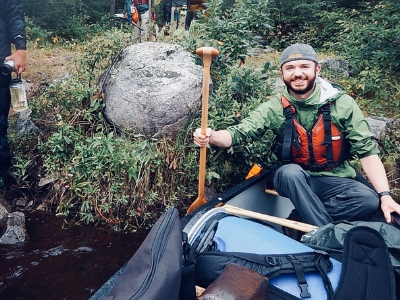 This season, Adam found himself with extra time at our Boundary Waters Basecamp and decided to take on the additional project of clearing space on our island, working to ensure that future BCM participants would be able to explore the magical isle. 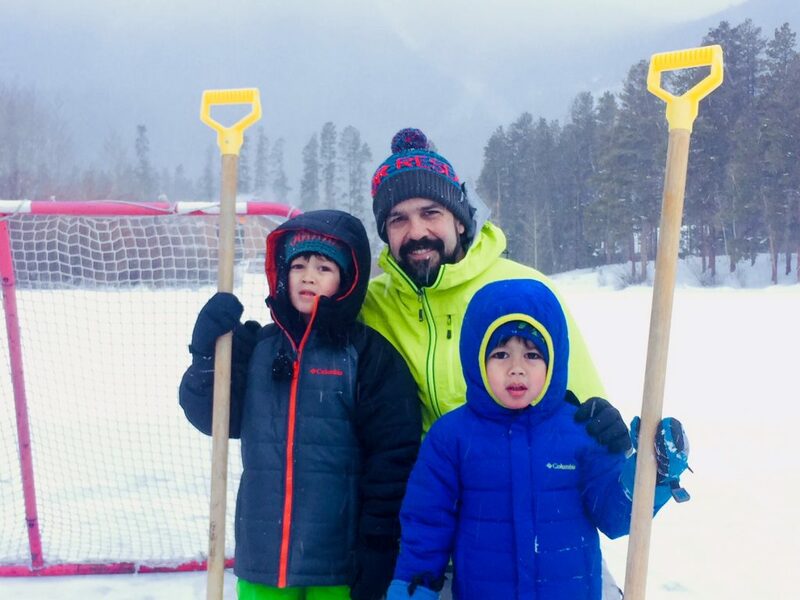 A long-time partner, Environmental Learning for Kids (ELK) has always showed great interest in the programs we offer and has actively worked to find new ways to collaborate. 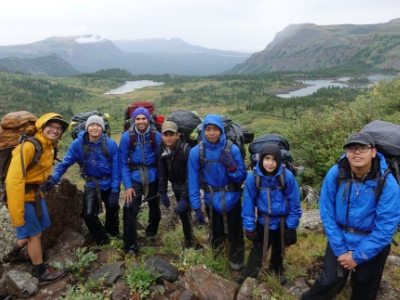 Over the past three years, BCM and ELK have collaborated on multiple week-long expeditions for their youth and coordinated on professional development opportunities for ELK’s Urban Rangers. ELK’s Urban Rangers regularly visit BCM’s Overnight to give talks and environmental education lessons to our campers. Scott and Kristy Thorsteinson have been incredibly committed BCM climbers and spokespersons the past two years. 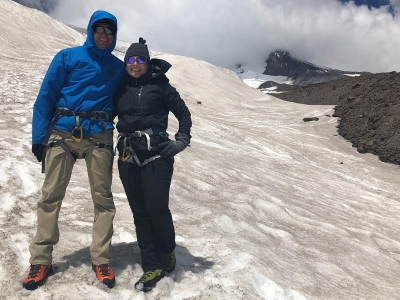 Scott has climbed the Grand Teton, Pico de Orizaba, and Mt Hood while Kristy joined Scott on Mt Hood. Collectively, they have raised $12,000 for wilderness trips for our students. They have also gone above and beyond to help build camaraderie among SFS teammates, as well as serve as BCM representatives at local events in the Seattle area. Smartwool has been stalwart in their support for BCM over many years but 2018 was standout, thanks in large part to Joelle Hamm of their internal advocacy team. 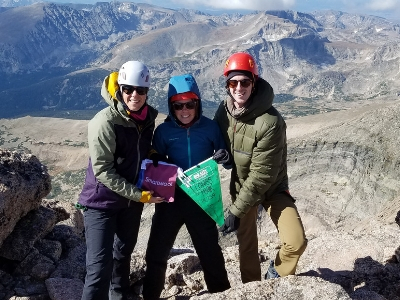 Smartwool got involved personally by organizing staff on volunteer projects and having multiple staff participate in personal fundraising initiatives through Summit for Someone and Custom Challenges. The company also made a financial commitment of over $14,000 to BCM in 2018. Finally, they donated product including outfitting our students with brand new socks that they get to keep. We are grateful for their consistent and reliable support. Ben has been a committed friend and ally to BCM since his first SFS climb in 2010. 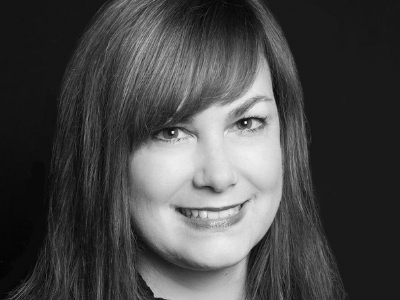 Ben has served as a board member since 2011 and has used his connections as a lawyer to secure critically important legal services for BCM over the years. For the past two years, Ben has provided important leadership as BCM’s Board Chair. Despite a demanding personal and professional schedule, Ben has always made time for the organization and our staff. Ben will be wrapping up his final term as Board Chair this fall. Long-time supporter of BCM, in 2018 Deborah organized her own Summit for Someone Custom Challenge leading a team of women on a week-long backpacking trip through the Northern Cascades, raising more than $2,500 for BCM youth. Deborah also introduce us to Andersen Construction, who selected BCM as the recipient of their charity golf tournament – raising more than $50,000 for BCM! Nathan was instrumental in helping BCM gain access to the Mt. Hood National Forest and other course areas in USFS Region 6 in 2018. Nathan created a path for BCM to offer outdoor opportunities to youth from Portland and Seattle more easily. With Nathan’s leadership and collaboration, BCM can now take our youth to National Forests much closer to home. Stay connected to the lives we transform together. Sign up for the Big City Mountaineers newsletter to receive program announcements, member stories and more. Follow our footsteps on social media. by entering your first and last name.